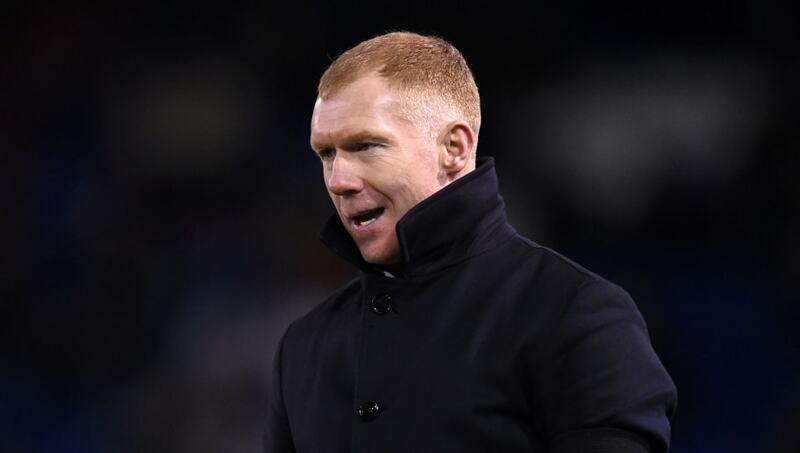 ​A report has emerged explaining the bizarre circumstances that plagued Paul Scholes' first venture into management, with frequent instances of interference from those above him in the hierarchy detailed as the main reasons behind his departure. Scholes was appointed to take over from Pete Wild at the League Two club in February, but surprisingly left after just 31 days, alluding to circumstances outwith his control restricting his ability to do the job outlined when he was appointed. Paul Scholes has issued a statement following his departure from Oldham. He won just one of his seven matches in charge, and though the former ​Manchester United midfielder didn't specify exactly why he left, a report in the ​Daily Mail has come out claiming owner Abdallah Lemsagam undermined the manager on a number of occasions. It's alleged that the owner and his brother Mohamed, the club's sporting director, attempted to inform team selections, with striker Urko Vera - a favourite of the owners but not fancied by Scholes - a particular bone of contention. It goes further, claiming defender Alex Iacovitti was offered a two-year deal without Scholes' knowledge or consent, and that a number of financial issues soon became apparent, including unpaid gas bills that resulted in a run-in with bailiffs at the club's training ground. If the honourable Mail are to be believed, it all led to a breaking point for Scholes, who felt he couldn't continue in the role. "I am disappointed by Paul’s decision to resign and surprised by the reasons he has given in his statement," he said. "Both myself and the staff at the club gave Paul all the support and autonomy that he asked for. He continued: "I have been in Dubai over the last couple of weeks and actually at ease knowing that he was in charge. I was very surprised as he simply resigned by text on Wednesday afternoon and has refused to discuss matters that influenced him to make his decision."